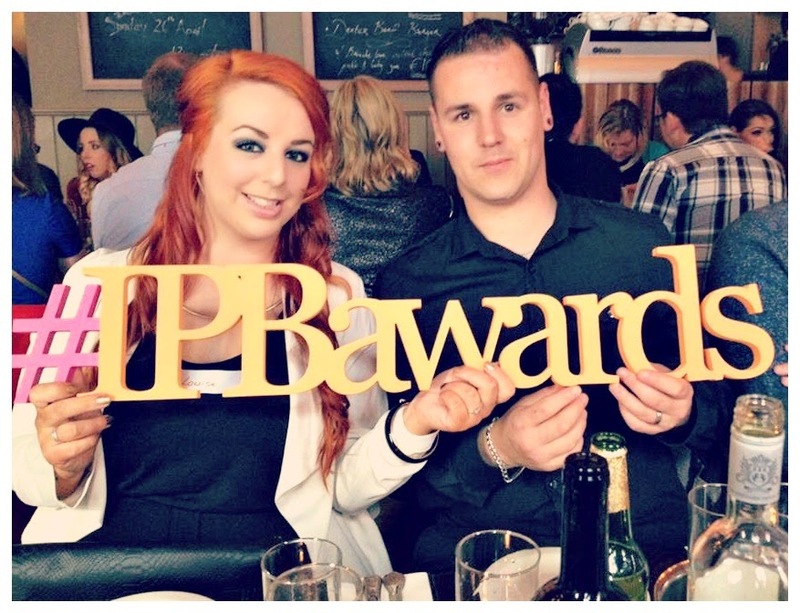 So April 25th was the night of the first ever Glenisk Irish Parenting Blog Awards or #IPBawards as it was famously trending as over on Twitter. 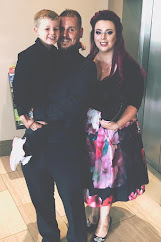 These awards were set up to celebrate the Irish parenting bloggers who are taking the blogging world by storm and by god did the organisers do a good job. These awesome people: Mama.ie, Mind The Baby, The Airing Cupboard, Dolly Dowsie, At The Clothesline, The Busy Mamas and Raising Elves were the stars of the show (alongside the award winners too!) and together they put an amazing night together. How awesome are the personalised #IPBawards One4all cards?! The OH won €50 on one of them, I will be helping him spend it! 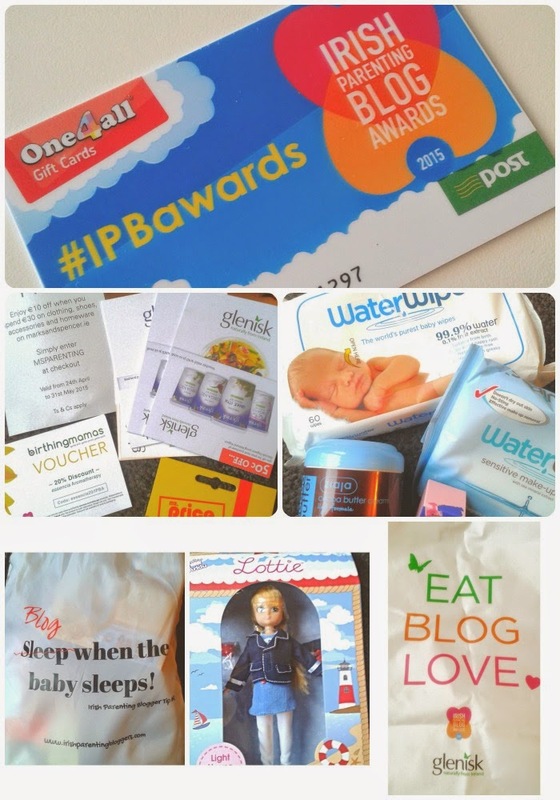 The blog goodie bag itself is epic, "Blog when the baby sleeps!" usually the only time I get to do it anyway! I'm in love with the Glenisk "Eat Blog Love" apron and I will be putting it to use in the kitchen. Luke was totally impressed with the Lottie doll from MyKidsTime although I had to keep it away from his little hands until I managed to grab a picture. The folks over at MyKidsTime are offering a 10% discount (use code IPBA2015) on these fabulous dolls until May 31st. Why not head on over there and grab one for yourself?! I really want the Rockabilly one. I was delighted to see such worthy finalists shortlisted for the 10 categories and happy for all of the winners, maybe slightly envious of their super cool award that came in the shape of a special IPB teapot designed by the talented Colorines Wonderful. You can view the winners of the 2015 awards here as well as the lovely sponsors. The main thing for me was finally getting to meet some of the wonderful people I have been conversing with online within the group for over a year and a half now, to finally put some faces to the names and to meet the talented folks behind each blog. They were all as lovely as I imagined and the atmosphere on the night was fantastic. I don't think the event gone have gone any better. So, have we a date set for the 2016 Irish Parenting Blog Awards? !